I wish to express my abject dissatisfaction on the leadership squabble that unfolded today in ODM. During that shameful act, party Executive Director Hon. Magerer Lagat was barbarously roughed up unceremoniously and thrown out of the meeting by the ignoble Nairobi MCAâ€™s. Sadly, the when the entire incident unfolded, CORD leaders Raila Odinga and Kalonzo Musyoka were seated watching the entire drama without intervening. At this 21st Century, it is very shameful for such a sordid incident to occur while Raila and Kalonzo are reduced to mere bystanders. Raila must countenance the fact he cannot avoid criticism especially when he has not done right. A leader must be berated. I am mandated to remind Mr. Odinga that according to the Holy Bible, even Jesus Christ of Nazareth was harshly criticized. Abraham Lincoln was Americaâ€™s greatest leader but his system of governance did not go well with all. In fact, he was assassinated in 1865. Orange Democratic Movement should raise a standard higher and be emulous enough to borrow leaf from its rival coalition Jubilee. 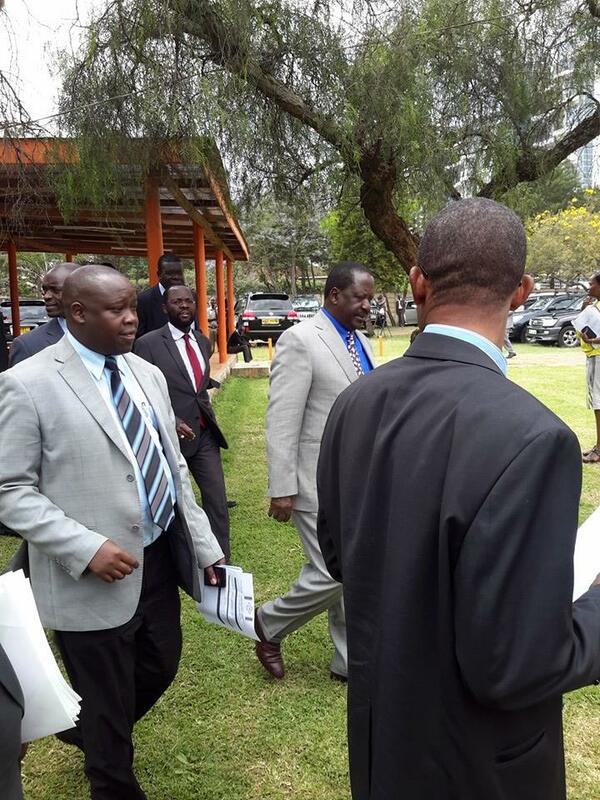 As a level headed Kenyan, I am beginning to take some gradual exceptions to Railaâ€™s style of leadership. Like my Abagusii ancestors used to opine, â€œCharacter is like pregnancy, you cannot hide itâ€ Mr. Odinga must not wish away the fact that the world is watching him very closely. He must be reminded that his silence during the ejection of Magerer, spoke volumes of his capability as a leader. The Prime Minister should know that his silence gave traducers something to talk about. As Kenyaâ€™s political cognoscente, Mr. Odinga was obligated to rescue Magerer from the hands of those bandits who call themselves MCAâ€™s. CORDâ€™S s ungallant system of leadership is indirectly endorsing President Kenyattaâ€™s reelection to office. Whether Magererâ€™s banishment was unheralded or otherwise, that is inconsequential. What matters here is the fact that the party leader was unforthcoming and irresponsible. What happened today has lessened the burden of pundits concerning the Men in Black saga at Kasarani during the party elections. For real, Railaâ€™s fate to lead this country is not only unprepossessing, but also uninterpretable. His incorrigibility as a national leader has pinned him down. Just like he watched the MIB disrupt an election, he also enjoyed a senior party official being massacred and the tyres his car being deflated by goons, without saying a word. Worse still, upon ascending to the rostrum to speak, none of the CORD leaders condemned Magererâ€™s dehumanization. Conversely, Mr. Odingaâ€™s chances of becoming Kenyaâ€™s President have been vulgarized by the political bandits that surround him. The leadership tactics he is bringing on are obsolete. Mr. Odinga, as Mahatma Gandhi once quoted, “I suppose leadership at one time meant muscles; but today it means getting along with people.” Watch out your steps Mr. Odinga.